Bosham have moved clear at the top of SCFL division two - while Sidlesham’s start to the season continues to be solid. 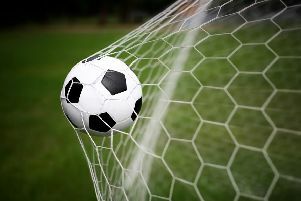 Bosham extended their lead at the top of the table with a hard-fought win against Rottingdean. Alex Barnes netted twice late on to see off the marauding Mauves and take the three points, allowing the management to go home happy that sometimes, winning ugly can feel almost as good as winning well. The first half was tight with Bosham largely dominating. Chances came but a lack of quality in the final third let them down as Graeme Dowden, Marco Giambelardini and Louis Bell went close. The visitors found the going difficult at times and with a makeshift team because of a raft of injuries and unavailability. Jordan Hardy was the workhorse in midfield with Jack Doe and Bobby Pannett the strikeforce. Rottingdean had a golden chance to take the lead just before the break from a penalty. Doe stepped up but Kieran Magee pulled off a spectacular save to keep it out. On the hour, Bradley Miles finally broke the deadlock with an accurate header following a corner. The kick was headed back across goal by James Colinese and Miles stooped to head into the far corner. Minutes later Bosham had the opportunity to extend that lead from the spot after Barnes was upended but the usually-reliable Giambelardini blasted over the bar. The Reds continued to press and the lead was doubled by Barnes with about 20 minutes left. The Reds eased through a static offside trap and Pat Bulbeck was left to square to an unmarked Barnes for a simple tap-in. Bosham let their guard slip, leaving Doe to slam home a loose ball to gift Rottingdean a way back into it. With minutes left, Barnes netted his second to settle the tie. The striker went on a mazy run finished with a sublime effort into the bottom corner. The Mauves would not lie down and close to injury-time substitute Ashley Evans grabbed a second for the visitors. Bosham held on for an important victory and with teams around them dropping points, Bosham hold a four-point advantage at the top. BOSHAM: Magee, Gilbert, Bulbeck, Colinese, Docherty, Bell, Barnes, Miles, Redman, Giambelardini, Dowden. Subs: Probee, Warren, Thompson, Sumnall, Fewell. A late equaliser saved a point for Sidlesham against early pacesetters and free-scoring Jarvis Brook. The game started at an explosive pace and after ten minutes, a ball in behind the Sids defence wasn’t dealt with properly and Nathan Milroy ran through and slotted past Kelly with assurance. Sidlesham grew into the game and forced three or four corners, one resulting in a goal ruled out for offside after Graeme Dowdell had finished. Just before the break Sidlesham missed the chance of the half when John Phillips seemed to miscue his shot, firing over when well-placed to score. The second half started with Sids dominating play and forcing corners and chances. Dan Bassil had a great chance but shot straight at the keeper. The introduction of Tom Kelly for Bassil and Parsons for William kept Sidlesham pushing. Sids got their deserved equaliser when Joe Jefkins turned and stabbed the ball home after a corner wasn’t dealt with by the Brook defence with five minutes to go. This Saturday sees Sidlesham entertain Peacehaven Reserves in the cup (3pm).